Apple said Monday sales of its new iPhone 5 topped five million in the launch weekend and that demand has "exceeded the initial supply," forcing some customers to wait. "Demand for iPhone 5 has been incredible and we are working hard to get an iPhone 5 into the hands of every customer who wants one as quickly as possible," said Tim Cook, Apple's chief executive. Apple opened sales Friday of the latest version of the iconic smartphone, leading to long queues in the nine launch countries. The phone will be available in 22 more countries by the end of the week and 100 countries by year-end. Cook said that "while we have sold out of our initial supply, stores continue to receive iPhone 5 shipments regularly and customers can continue to order online and receive an estimated delivery date. "We appreciate everyone's patience and are working hard to build enough iPhone 5s for everyone," he said in a statement. Apple said that the new mobile operating system iOS 6, had been downloaded for "more than 100 million iOS devices" since it was launched last week. 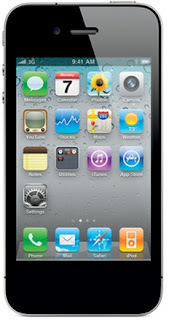 Analysts expect record-breaking sales of the iPhone 5, which is lighter, slimmer and more powerful than its predecessors, even though the phone has drawn only lukewarm reviews and has drawn complaints for its glitch-prone maps program.